Renaissance Lute | Maker: Sixtus Rauchwolff (German, Augsburg 1556–1619). 1596. Augsburg, Germany. 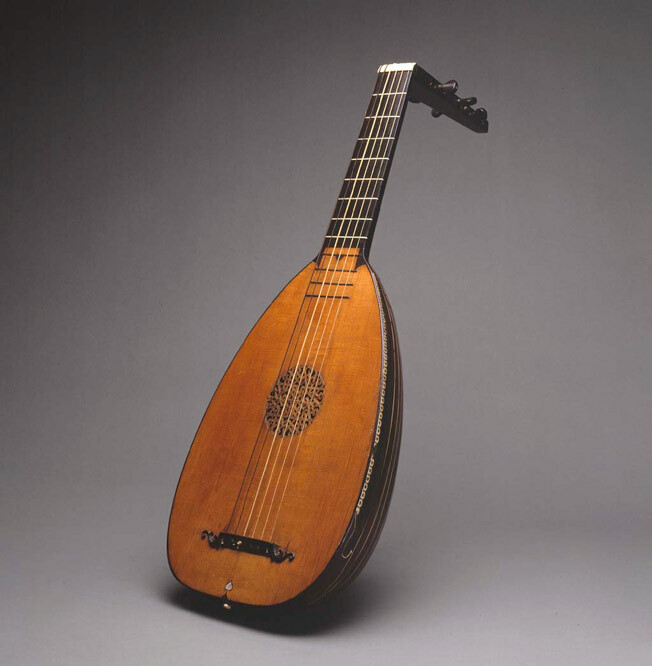 In the Renaissance, the lute was undoubtedly the most popular instrument in Europe. The lute is the descendent of the Arabic Oud, which came to Europe via the Crusades. The beautiful lute pictured here was made by 16th c. luthier Sixtus Rauchwolff. He had an excellent reputation in his day and was a maker of lutes for the prominent Fugger family and the court orchestra in Stuttgart.